Already a member?Access the Platinum Circle Members-only website here. As a member of our Platinum Circle, you have full access privileges—forever—to everything we publish and to everything we will publish in the future. In essence, we give you the keys—the same “access code” our editors get—and invite you in at the highest level. Our correspondents, editors, and network of expats all over the world are our eyes and ears from Ambergris Caye, Belize to Penang, Malaysia…from the highlands of Panama to Paris, France. We have people posted all over the planet…keeping us plugged in and keeping members of our Platinum Circle, connected. They’re our insiders… and I’d like to put you in their good company. Now, to be clear, this membership isn’t for everybody. But if you’re interested in gaining access to everything we publish… being directly connected to our editors and best contacts all over the world… then I invite you to learn more. 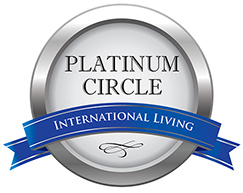 Membership in our Platinum Circle is the best way we know to help you ramp up your search for the place that’s right for you and connect you to the opportunities that make the most sense given your interests and priorities. The idea behind the Platinum Circle is simple: You get the same level of benefits and privileges as our senior editors. You have access to every newsletter, report, publication, and book…every kit and course…every product which International Living has published—for the rest of your life…for FREE. What, specifically, are you entitled to as a member of the Platinum Circle? 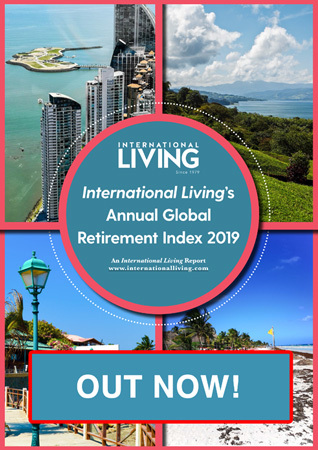 Currently, we have more than 100 International Living titles in our library, and we are adding to them almost every month. The benefits of membership–which are lifelong–come to a conservative $11,802. Add to that the value of everything new we’ll produce over the years to come—and it, too, is all yours, free. For more information, or to join, please call us Toll Free at 1-855-719-5394.